Ready to get started? Talk to one of our pool specialists. A lot of people with medium-sized pets like to let them play in the pool. Have a dog? Sheep? Llama? Small horse? They might be interested! Fun fact: Some cats are into water too. 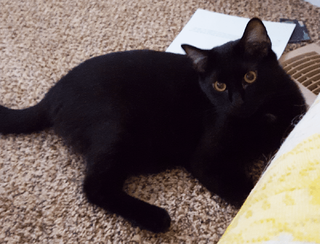 My cat Lucas, nicknamed Olulu, likes to play in his water dish so much that he earned the second nickname Shamu-lulu. If I had a pool, I imagine he would enjoy splashing his giant paws in the water. Maybe then he wouldn’t feel the need to create small lakes in the laundry room every morning. Still, for the time being, let’s assume your preferred pool-sharing pet is a dog. They need a shallow area to stand up in. They need to know where to get in and out. Pets love shallow water where they can stand up. They can hang out there, and they can swim out into the deeper water and back if they feel like it. Unless your pet is a Great Dane or a bear, a regular shallow end is too deep for an animal to stand in. Pools with a tanning ledge/shelf are perfect for dogs. This pool feature (also called a tanning shelf or Baja ledge) is an integrated part of the pool that holds 8–12 inches of water. Don’t force your darling Daisy to jump into the water. To be pet-friendly (and pet-safe, really), your pool should have steps going into the water, not a ladder, at least in the shallow end/tanning ledge. 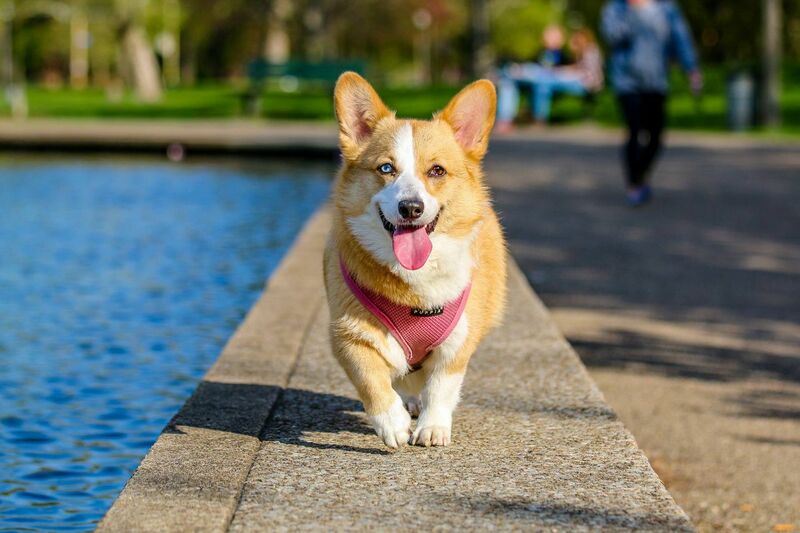 The steps should be wide enough for your pet to walk on. Cutesy little cake steps probably aren’t the way to go if you have a German shepherd or Newfoundland. Also, be aware that some dogs have difficulty finding the steps at first. For example, my coworker Jason’s two dogs initially couldn’t tell where the steps in his pool were. Once they learned where the steps were, then they knew how to get in and out. You may want to help your dog down the steps until she figures them out. 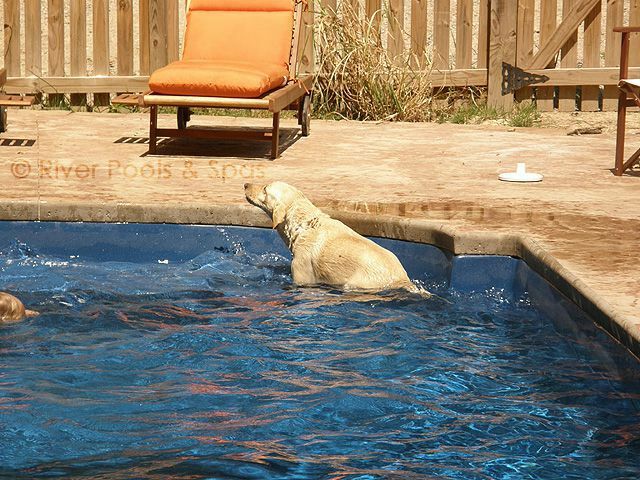 A lot of pet owners buy pools with their pets in mind. So which kinds of pools are best for our animal friends? 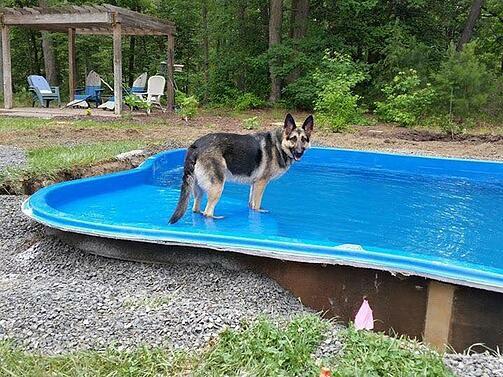 Fiberglass pools are awesome for pets. Dog claws won’t tear or puncture the strong, durable gelcoat. It also won't hurt the dog's joints. Concrete pools are an okay option. The interior finish—plaster, aggregate, or tile—holds up well. However, the surface can be too harsh on joints and claws. 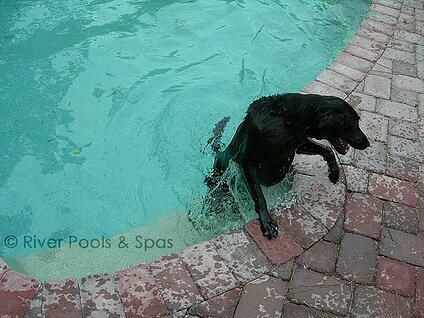 Unfortunately, vinyl liner pools aren’t great for pets. Most liners are 20–30 mils thick, which is less than a millimeter. It’s all too easy for dog claws to carve through that. At River Pools, we’re fans of tanning ledges, so we’ve integrated them into several of our models. If you’re interested in an inground pool with a tanning ledge, you might want to consider checking out these fiberglass pool designs. 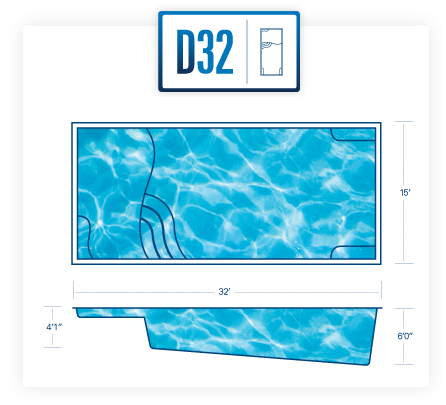 The D Series models have a big tanning ledge in the shallow end. Your dog probably can’t use the two-person seats in the deep end—although who knows? Maybe he’s skilled. Regardless, they’re available for you if you want to chill out there with your pet (or just avoid the people in the shallow end). 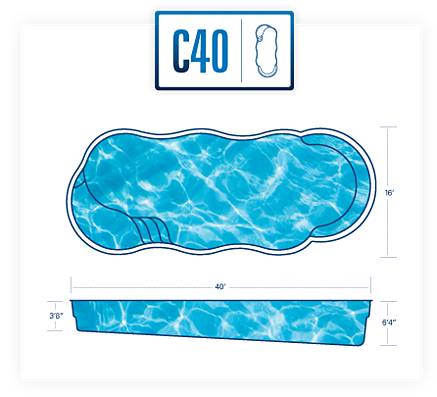 The C Series pools' tanning ledge has a neat swoop-y design. 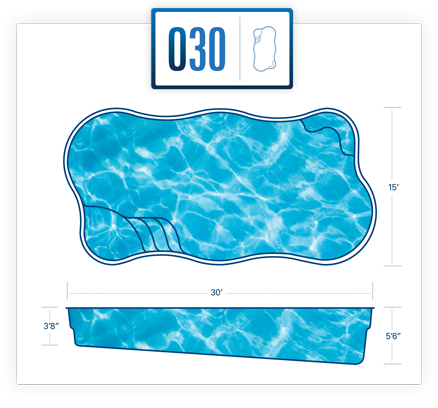 For the humans in the group, a deep-end bench seat curves around the other end of the pool. 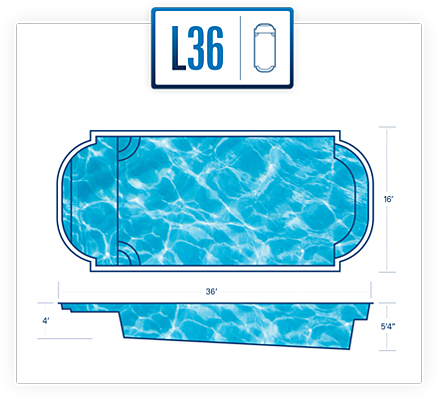 The L36 pool has a giant tanning shelf, open swim space for you and Mr. Fluffers, and another big bench seat in the deep end. The O Series comes in 2 sizes, but only the 30-foot-long model has a top step big enough to work as a tanning shelf. It’s still not super giant as Baja ledges go, so it would work best for a dog who prefers to chill in one spot rather than trot up and down a wider space. 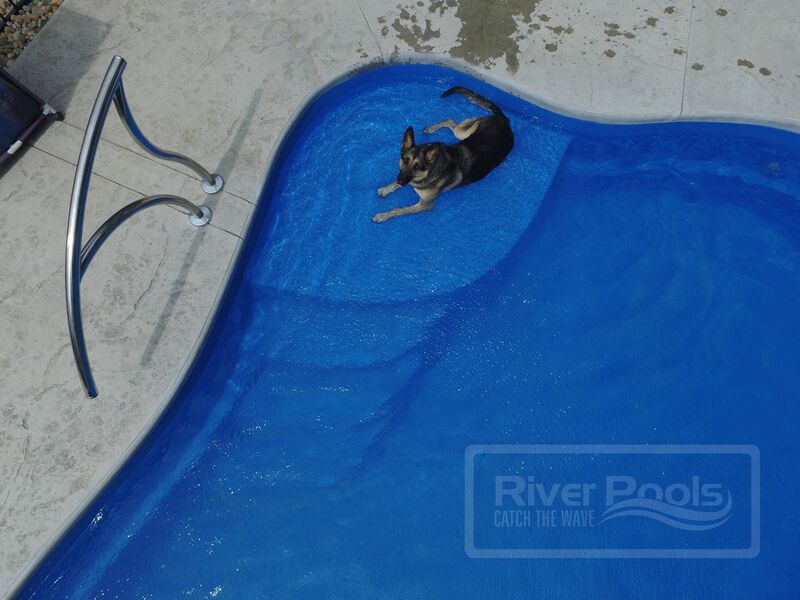 River Pools manufactures and installs fiberglass pools in Virginia and Maryland. We also operate in other areas of the country through our dealers. If you think a fiberglass pool might be the right choice for you, we’re here to answer any questions you have! Editor's note: This blog article was updated on April 17, 2019.